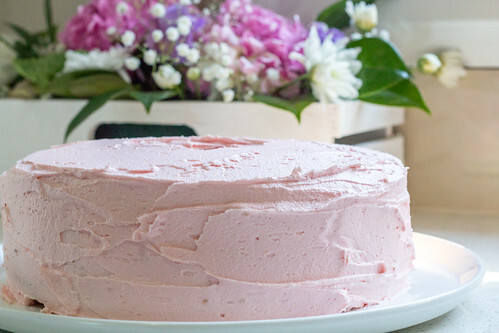 Rose Chiffon Cake with Vanilla Buttercream | ohdenny. 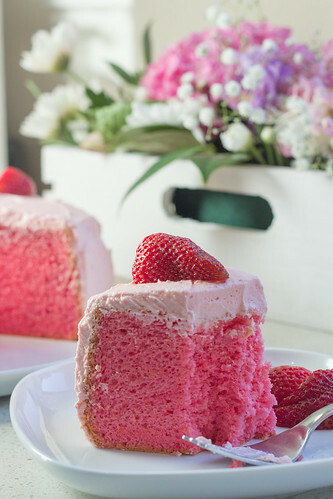 I love a fluffy chiffon cake and I love trying interesting flavours to go with it. I’ve had a vanilla and rose water cupcake before and it was lovely, the subtle rose water makes for a deliciously fresh cupcake. 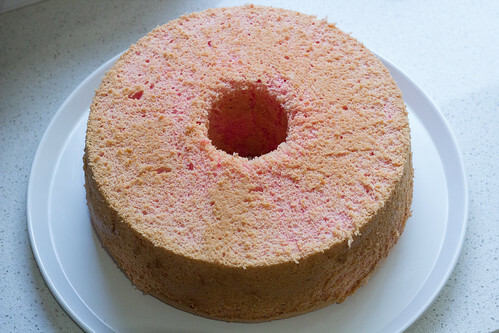 Now here’s my very pink Rose Chiffon Cake adapted from my Orange Chiffon Cake. 2. 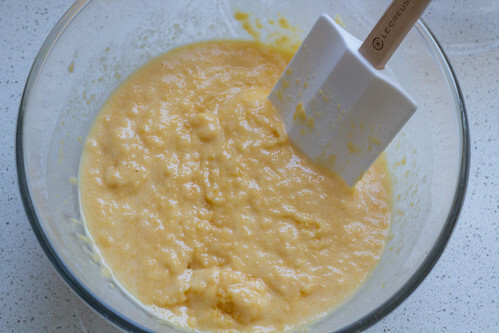 Sieve the plain flour, salt and baking powder into a medium sized bowl. 3. 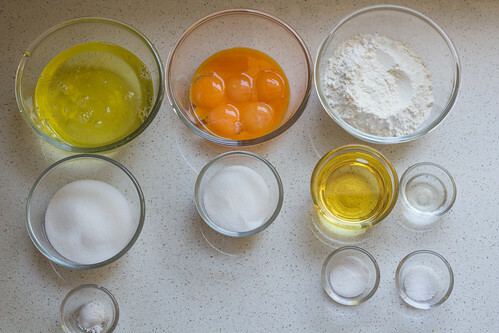 Add the vegetable oil, water, rose water, pink colouring, sugar and egg yolks into the dry ingredients and mix until just combined. 7. Pour into the cake pan (one made for upside down cakes – it has a hole in the middle) and then place in the oven for 30 to 40 minutes. Poke a skewer into the middle of the pan and if it comes out clean, it’s done! 8. Remove from the oven when done, and flip it upside. If the cake has risen higher than the cake pan’s height, use a mug and rest the middle cylinder on top. 9. 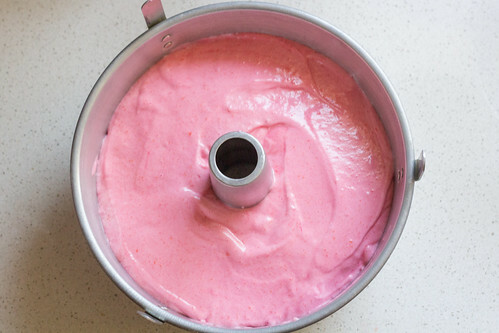 Allow the cake to cool until room temperature. 1. Beat the butter and sifted icing sugar until light and fluffy. 2. 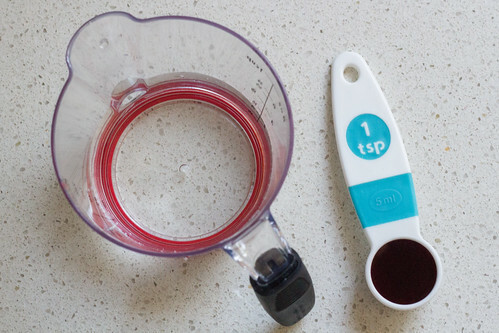 Add in the vanilla extract and colouring until combined and smooth. 3. 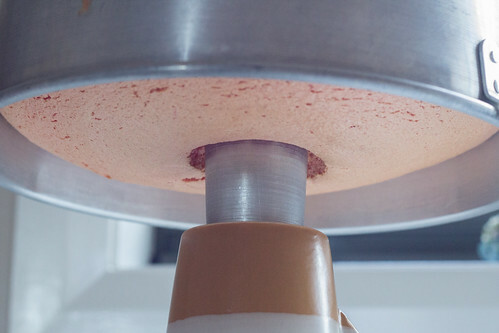 Frost the cooled chiffon cake all over. 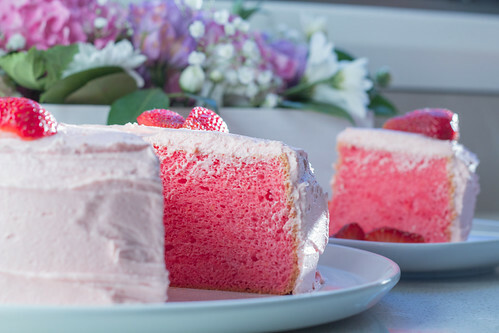 Refreshingly subtle rose water flavour with a vanilla buttercream in a fluffy chiffon cake. 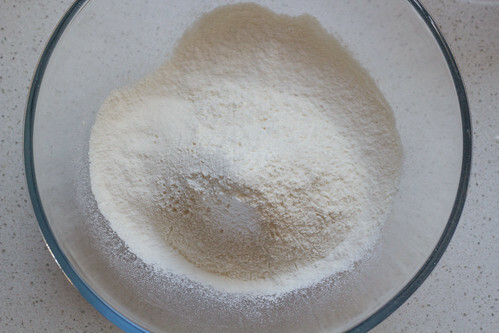 Sieve the plain flour, salt and baking powder into a medium sized bowl. 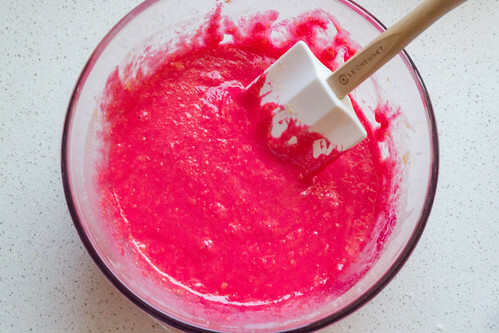 Add the vegetable oil, water, rose water, pink colouring, sugar and egg yolks into the dry ingredients and mix until just combined. 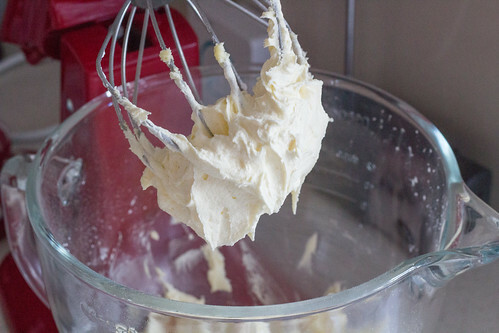 Whip the egg whites and once it starts to bubble add the cream of tartar. 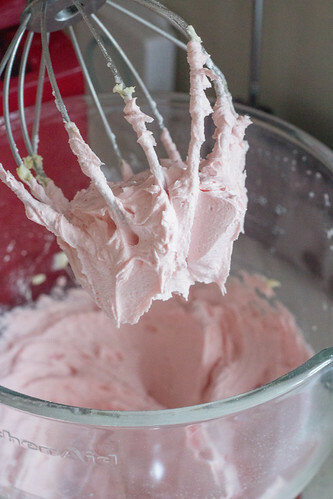 Keep whipping until the mixture is nearing soft peaks, then slowly add the sugar with the electric mixer is still running and until hard peaks form. 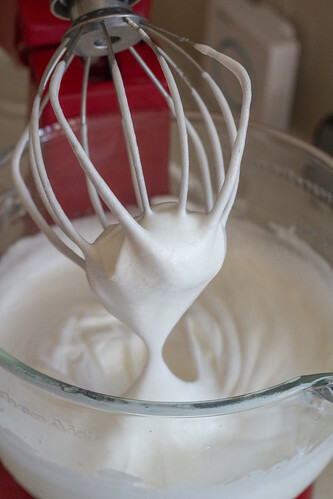 Add 1/3 of the meringue into the wet mixture until the thick mixture softens. 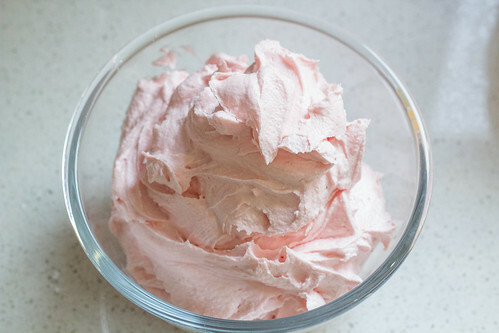 Then slowly add in the rest of the meringue until just combined. Do not overmix! Pour into the cake pan (one made for upside down cakes – it has a hole in the middle) and then place in the oven for 30 to 40 minutes. Poke a skewer into the middle of the pan and if it comes out clean, it's done! Remove from the oven when done, and flip it upside. 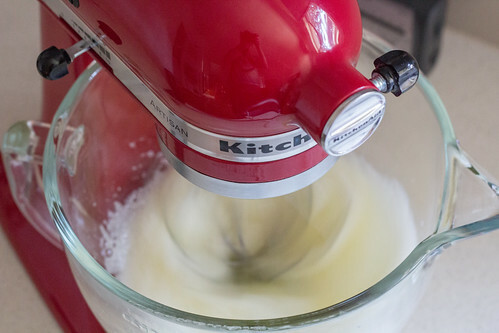 If the cake has risen higher than the cake pan’s height, use a mug and rest the middle cylinder on top. 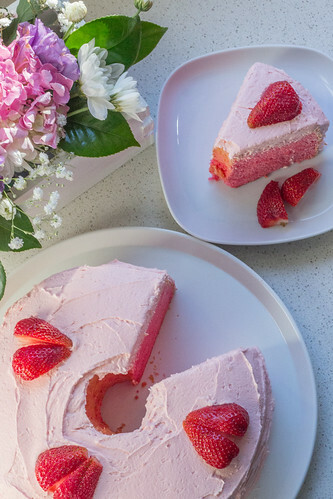 Allow the cake to cool until room temperature. 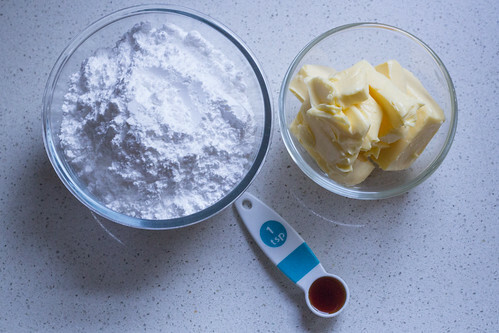 Beat the butter and sifted icing sugar until light and fluffy. 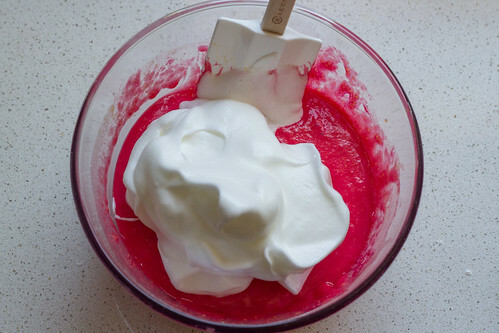 Add in the vanilla extract and colouring until combined and smooth. Frost the cooled chiffon cake all over. 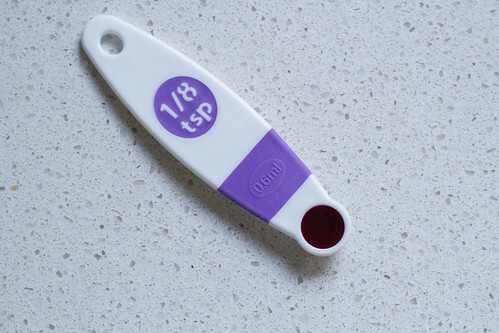 If you prefer a more punchier rose flavour, add another 1/4 tbsp to 1/2 tbsp. 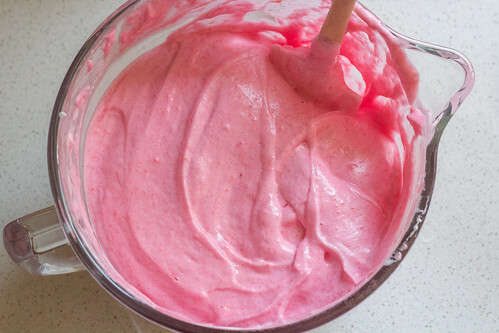 Similarly, for a lighter pink colour for the cake, half the colouring to 1/2 tsp.